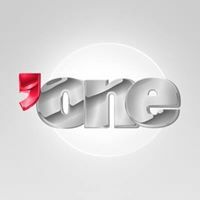 General TV Channel / Dubai One is a Pan Arab English language entertainment television channel, owned by Dubai Media Incorporated. It was launched in May 14, 1994, and is currently managed by Sarah al Jarman. It airs a mix of locally produced and international syndicated content that caters both Arab and non-Arab viewers in the MENA region. Dubai One broadcasts subtitled Western content targeting Arabs and expatriates living in Dubai and around the Arab world. While most of the production is centralized at DMI's own studios, the channel has its own management, team, structure and strategy. The flow of advertising for it is controlled by Choueiri Group, through its subsidiary MEMS.